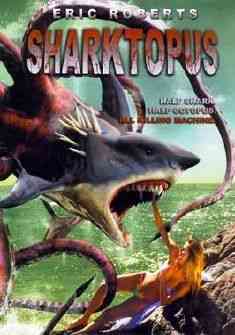 Move over Jaws there is a new killing machine called Sharktopus (half shark and half octopus). This is the craziest movie that I have ever seen and when I saw the trailer it reminded me of a B-movie from the fifties. The movie stars Eric Roberts who plays Nathan Sands a scientist who creates this weapon called S-11 for the military. When S-11 escapes during a test run it heads to Mexico where it attacks people in water and on land. Now, it is up to the scientists to kill this freak of nature. This movie was a SyFy Channel original and you can catch it on DVD. Comments for Sharktopus:The Craziest Movie Ever are now closed.